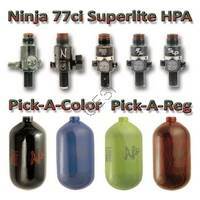 Ninja HPA Bottles - Including the new SL SuperLite Tanks! 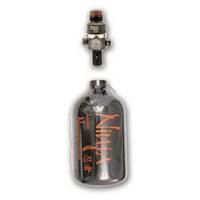 Ninja offers three amazing bottle types, and five different adjustable regulators for those tanks. The bottles they offer are. 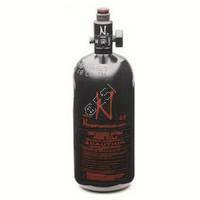 Ninja Aluminium - These bottles are made of aluminium and are avaliable in 13, 35, 48, and 72 Cubic Inches. 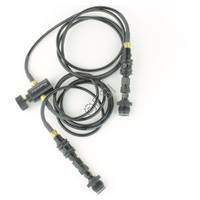 These are great for beginners as they are a bit cheaper and still get the job done. Ninja Standard - Made of carbon fiber these bottles are lightweight, yet hold an immense amount of air more than their Aluminium brothers. These bottles are good for those who do not like refilling as often. Ninja SuperLite - The name says it all. These are the lightest bottles on the market, and almost a full pound lighter than the already light Ninja standard bottles. This is the choice of serious players all across the world.
. 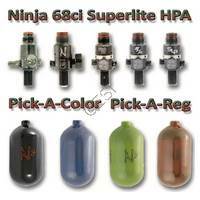 Your pick of regulator and color on a new Ninja SuperLite air system. 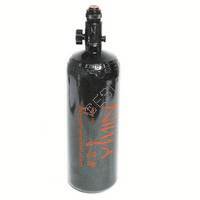 Customize your own 77/4500 Ninja SuperLite air system. Choose your color and regulator! . 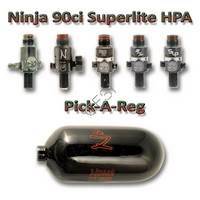 Get Ninja's new 68/4500 SuperLite system, with your choice of color and regulator. Super light weight! 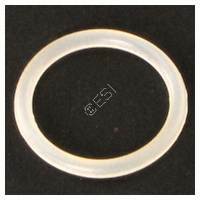 Super durable! Super lightweight and reliable! . 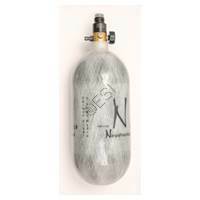 Get the right reg for you, on a brand new 90/4500 Ninja Grey Ghost air system. Super lightweight and reliable! 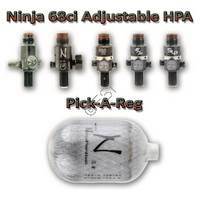 Choose the regulator on your new Ninja Grey Ghost 68/4500 air system. 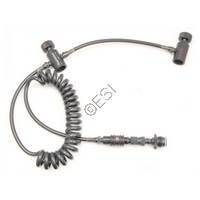 Create the perfect 50/4500 Ninja air system. 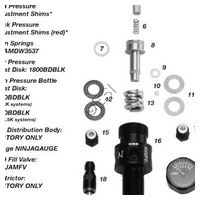 Build your own custom 45/4500 ninja bottle! Never run out of air again. Attach two tanks to your gun, and never run out of air mid game again! Power two guns off of one air tank, new micro bore hose. These tanks are all aluminium and hold 3000psi. 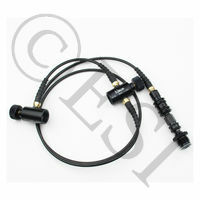 They are avaliable in 13, 35, 48, and 72 cubic inch sizes. 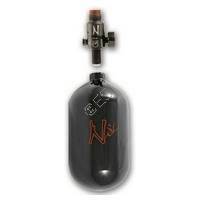 Ninja's tanks all feature an adjustable regulator. Hyrdro testing for these bottles must be done every 5 years from its born date, with the tank expiring 15 years from its born date. This is where the bottles begin to get a little more expensive, due to the material costs. These bottles will all be carbon fiber wrapped. 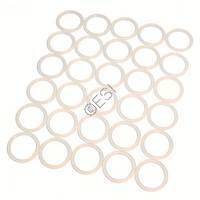 However with the increased cost, you are also getting a lot more air per fill. 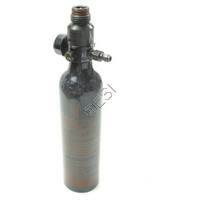 The aluminium bottles are 3000psi, these carbon fiber bottles hold 4500psi. Additionally these bottles are larger in cubic inches than most aluminium bottles. They are avaliable in 45, 50, 68, 77, and 90 cubic inches. Hyrdro testing for these bottles must be done every 5 years from its born date, with the tank expiring 15 years from its born date. These are the Ferrari's of tanks. Built for those people who demand the most cutting edge paintball profucts. These tanks weigh almost a full pound less than their already lightweight little brothers. Picking up this tank will literally put a puzzled look on your face, they are that light. You get this decreased weight at no cost to shots per tank, as they are the same dimensions and capacity as the standard tanks. They are avaliable in a 68, 77, and 90 cubic inches. Hyrdro testing for these bottles must be done every 5 years from its born date, with the tank expiring 15 years from its born date. 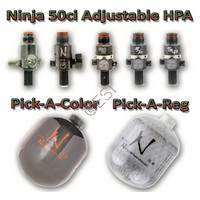 Both Ninja, and Guerrilla make premium paintball HPA air tanks. However they do have some important differences, that we will highlight here. These brands both have quite a few different options for tank sizes. 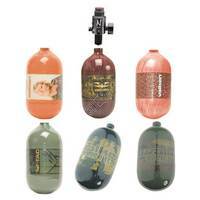 Guerrilla Air has carbon fiber bottles in 48, 68, 70, and 88 cubic inches. 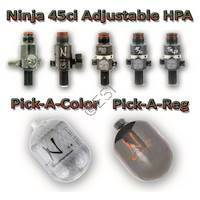 Ninja has 45, 50, 68, 77, and 90 cubic inches avaliable, meaning there is one extra choice on the Ninja side, as well as Ninjas bottles holding a little more air to their rival Guerrilla bottle (48vs50, 70vs77, 88vs90). Both company has four options for aluminium bottles, three of which are the same size. The only difference is Ninja has a 35 cubic inch bottle, while Guerrilla has a 22 cubic inch option. Regulators should be a major factor in which bottle you buy. When it comes to size, the Guerrilla regulators are the smallest and lightest on the market. 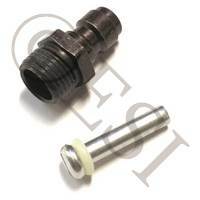 However where the Guerrilla regs are small and light, the Ninja regs are accurate and consistent in their output pressures. 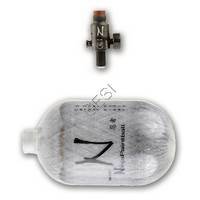 In fact most of Ninja's bottles come standard with an adjustable regulator. 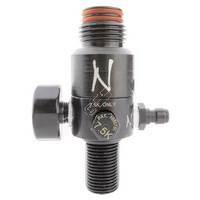 This means your ninja bottle will always be putting out the correct pressure for your markers inline regulator. Guerrilla's aluminium tanks as well as their regulators are made in Asia, only their carbon fiber tanks are made in the USA. 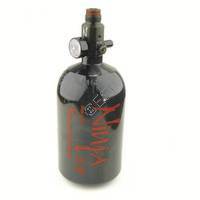 Ninja takes pride in the fact that all their tanks, as well as regulators are made right here, in the USA. 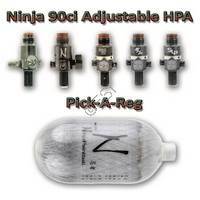 As stated previously almost all Ninja regulators are adjustable. 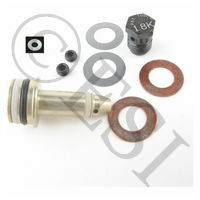 Your Ninja tanks output pressure can be easily adjusted by safely adjusting the ammount of shims in the regulator. 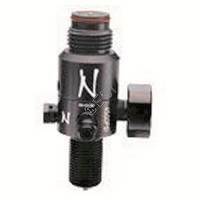 Please watch our video on how to do this for both the Ninja Pro regulator, as well as their standard adjustable regulator. 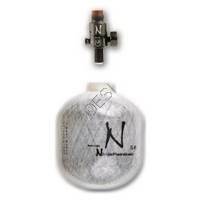 Ninja regulators are completly rebuildable, if you happen to discover an air leak from your Ninja regulator it can (in almost all cases) be fixed by replacing a oring, or the pin valve. For more on how to troubleshoot and fix an air leak, refer to the manual included with your regulator, or check out our video on the subject. 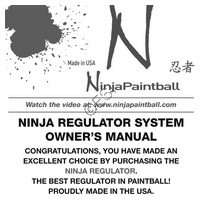 As you can see from the information above, Ninja tanks are amongst the best tanks in the entire paintball industry. 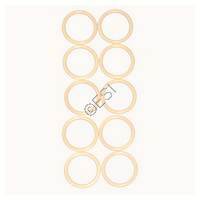 Their regulators are the most consitent and accurate in output pressure, as well as having one of the best recharge rates. The tanks are proudly made in the United States, and include Ninja's one year warranty. 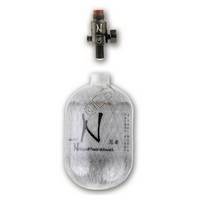 Ninja strives to create the perfect bottle to fit anyone customers wants and needs. This is why Ninja creates many different sizes of bottles, as well as special edition bottles in custom colors and patterns.